Brock Lesnar could be headed back to MMA. Ariel Helwani of MMAFighting.com is reporting that UFC is nearing a deal with former WWE World and UFC Heavyweight Champion Brock Lesnar to fight at July’s UFC 200 pay-per-view. According to the report, “both sides are close to finalizing a deal, and if all goes well, Lesnar’s return to mixed martial arts could be announced immediately.” Helwani is reporting that even though there may be a deal close with Lesnar, an opponent for him has not been confirmed yet. Lesnar, 38, re-signed with WWE the week before WrestleMania in 2015 after seriously considering returning to the octagon. Lesnar said that he was training for an MMA comeback when his WWE deal was set to expire, but said while he felt fine physically, mentally he wasn’t ready for that. Lesnar is still contracted to WWE after signing his multi-year deal, so this would likely be a one-off fight. The Beast Incarnate, as his manager Paul Heyman, nicknamed him, hasn’t been on television since WrestleMania 32. He hasn’t competed inside the octagon since 2011, a loss to Alistair Overeem at UFC 141. He battled a severe case of diverticulitis, ending his MMA career and returned to WWE in 2012. But that doesn’t mean he wouldn’t be a draw at UFC 200. Lesnar headlined UFC 100 against Frank Mir in a Heavyweight title unification bout, which Lesnar won. That pay-per-view still remains the top selling MMA pay-per-view in history. The name value and brand alone would make UFC 200 a must-watch for not only MMA fans, but pro wrestling fans as well. A few weeks ago, Lesnar’s UFC bio mysteriously appeared on the company’s website under the current fighters section. He was then quickly deleted. ESPN's Brett Okamoto spoke with UFC president Dana White on Friday and White explained the website mishap and dealing with WWE lawyers, but he chose his words carefully. Lesnar’s return to UFC wouldn’t be without WWE CEO Vince McMahon’s blessing. With Lesnar not in the creative plans currently, WWE doesn’t have much to lose by lending Lesnar to UFC. 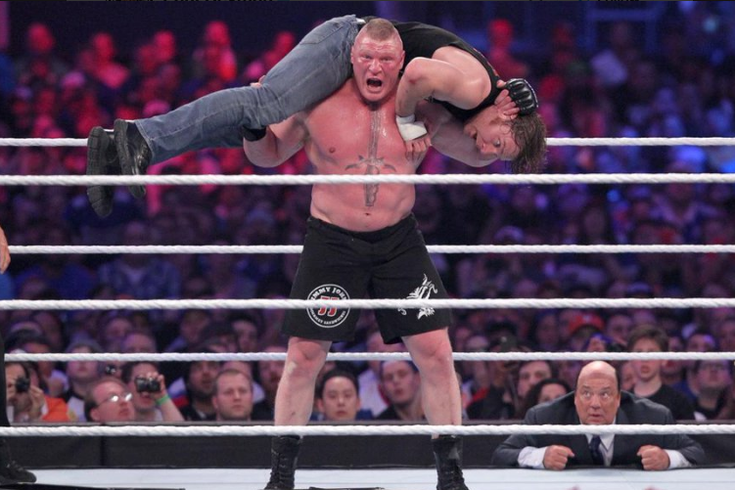 They’ll get free press out of it and with Lesnar still under contract, he’ll likely be back for SummerSlam in August. It’d mark the first time ever a current WWE-contracted talent would wrestle on a UFC pay-per-view. After Lesnar re-signed with WWE in 2015, he said his legacy in the octagon was over. He may have spoken too soon.